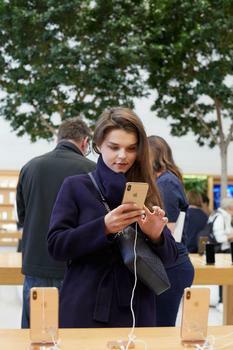 Apple paraded out its new iPhone models on Friday. As the clock struck 8am local time around the world, the iPhone XS, iPhone XS Max, and Apple Watch Series 4 went on sale. Buying -- and keeping up with -- technology has turned into a pricey game. When Apple released its first iPhone in 2007, the price was $499 for the 4 GB model and $599 for the 8 GB model. Now, customers are looking at nearly double that price if they want to buy the new iPhone XS with 64 GB. Granted, the improvements Apple has made -- like fixes for the microphone and battery issues -- along with the bells and whistles it’s added over the years, make keeping up with the Joneses alluring. But, what about that older model iPhone you have? Does it have enough value to trade it in or sell it on the open market? ConsumerAffairs researched the values a consumer could expect to get from selling or trading in their old iPhones. If you trade your phone in directly to Apple, the values run from $70 for an iPhone 6 to $525 for the most recent iPhone X. But it’s worth doing some shopping, as other online tech buyers might offer more. When ConsumerAffairs checked prices for that same iPhone 6 on certain exchange sites, we found better prices than those that Apple offered, but lower values than Apple was allowing for factory unlocked iPhone 7 models. For consumers who are Apple diehards and wouldn’t give an Android phone the time of day, Apple has a program called the “iPhone Upgrade Program” which allows consumers to get a new iPhone every year with AppleCare+ included for as little as $37.41 a month. MacWorld cautions against buying an iPhone the moment a new model is launched. “You might be happy to wait a month or two after the launch and wait for supply to catch up with demand, and for any problems with the new phones to be identified and (hopefully) fixed,” wrote MacWorld’s Karen Haslam. Haslam also reminds consumers that Apple no doubt has a Black Friday promotion up their sleeve. While Apple might not drop prices on its phones, it’s possible the company may offer an additional gift card. Thought about repurposing your old phone? If you’re insulted by the prices companies are offering for older model smartphones, there are dozens of ways to turn them into something useful. If you have Wi-Fi handy, phones can be repurposed into TV remotes, dedicated Skype stations, baby monitors, or even digital cookbooks. For consumers who are small business owners or use their phones for business purposes, buying a new phone might provide a tax deduction. However, buyers should be aware of a caveat involved in pursuing that option. “If people have used their phones for a business and have written off the cost on their taxes, they may be surprised to learn that the trade-in value is now considered taxable income,” wrote Morris Armstrong, an Enrolled Agent licensed by the IRS and tax practitioner, in comments to ConsumerAffairs.